Product #16544 | SKU EC15CF | 0.0 (no ratings yet) Thanks for your rating! The Sony AEC-15CF is an XLR adapter cable for BC Series transmitters. Adapter cable for connecting a pro mic fitted with a standard XLR output to most Sony wireless beltpack transmitters. 1.52 m in length. 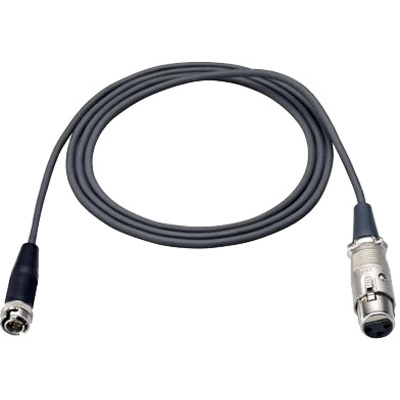 It incorporates an SMC9-4P connector on one end and a female XLR connector on the other end.